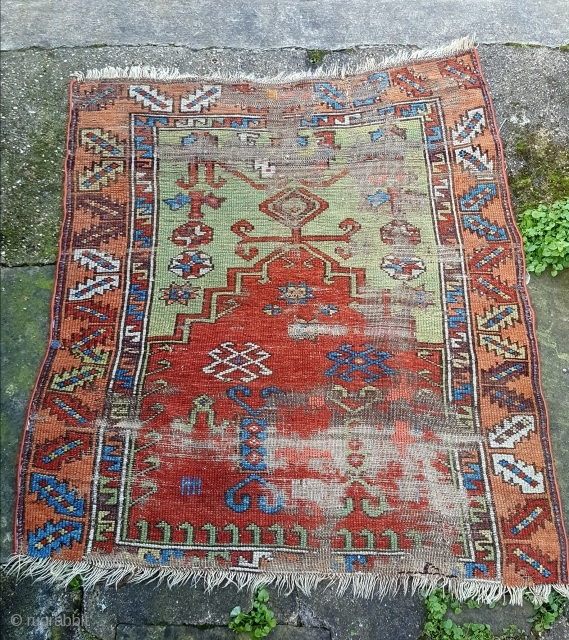 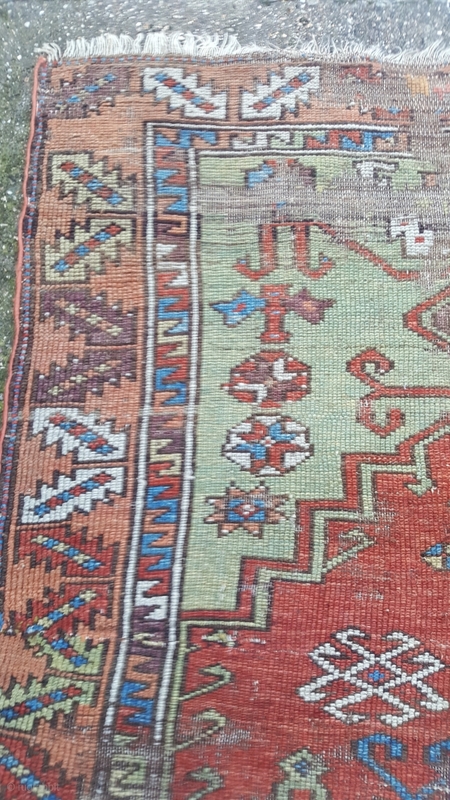 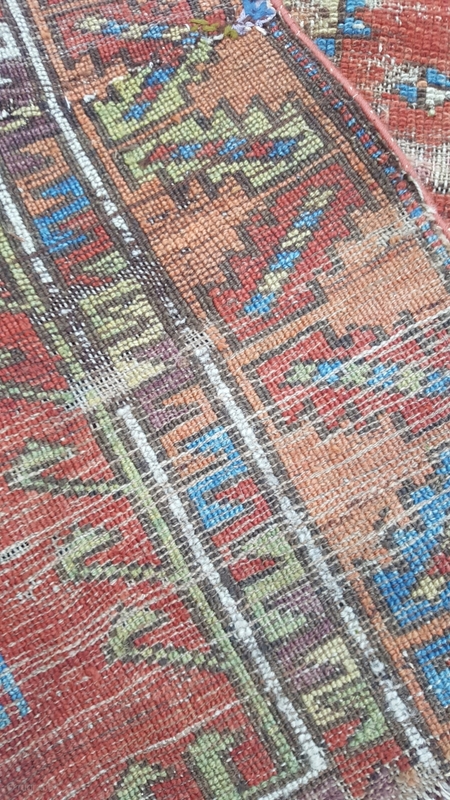 a small antique Konya prayer rug very worn with missing bottom boder but a charming antique rug.Needs a clean just found. 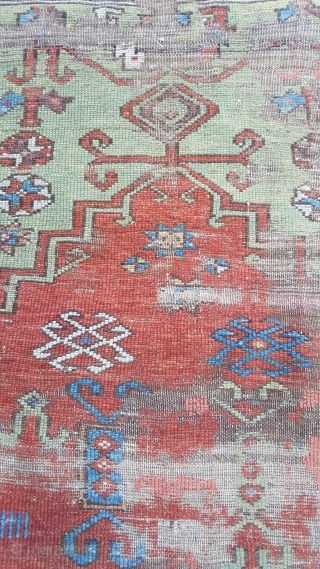 120x100 approx. Price does not include shipping which will be about 35usd to the usa.